Having some free time to share some of my amazing experiences while waiting for my recently submitted PhD in Health Science thesis to be examined. Don't worry, nothing too technical to read here. Just enjoy the ride. Summer time is just around the corner and you can expect popular beaches to be thronged by beach goers. Imagine if you could have your own private personal spot on the beach or even the whole stretch of the beach for yourself, wouldn't it be the most perfect getaway from the bustling crowd? 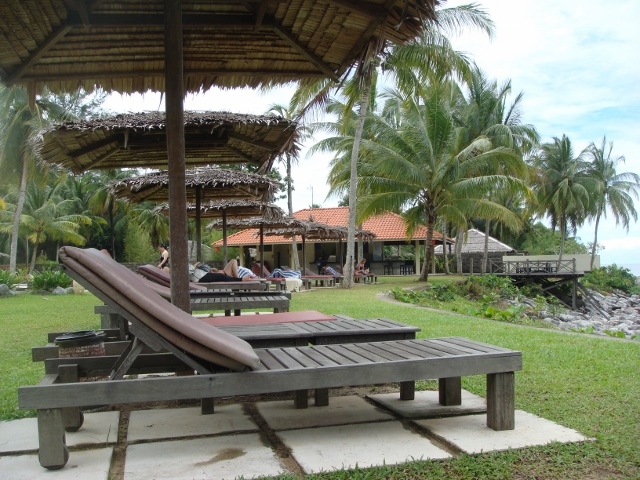 With lush Borneo rainforests and ample sunshine, Damai Beach boosts golden sands and sparkling sea. You can be sure that the gentle waves crashing on the beach will be the most relaxing sounds you hear all day long. There are three hotels/resorts bordering this beach which offer access to the beach only to its guests and patrons, hence making it secluded and off limits to public. Once here, you will notice that there are no boats or jet-skis in sight. 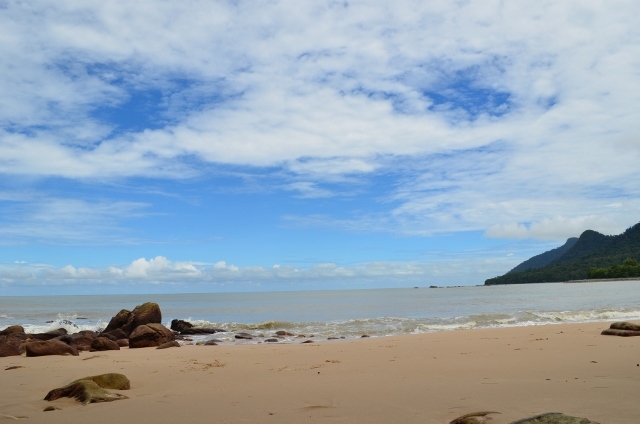 It is truly a great place to enjoy the sea and the view of the Santubong mountain from this beach. The sunset view from this beach is truly amazing and is worth the wait. 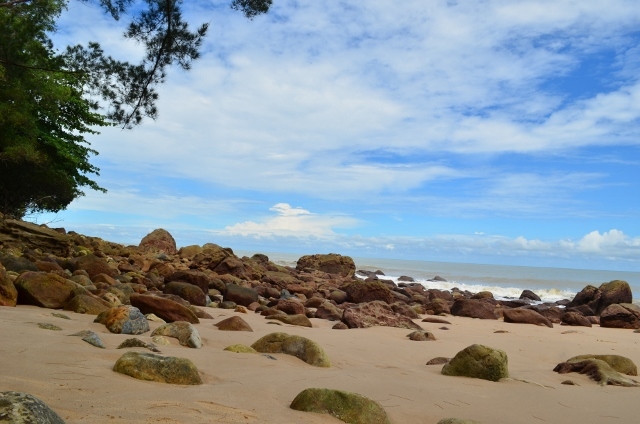 Damai Beach is only an hour's drive from Kuching city. Flying to Kuching city, which is situated in the largest state of Malaysia, Sarawak, takes a little less than 2 hours in duration to arrive. Kuching city has been more accessible than ever with budget flights from Kuala Lumpur daily via AirAsia and Malindo Air. You will be spoilt for choice with the three available hotels, Damai Beach Resort, Damai Puri Resort & Spa and Permai Rainforest Resort should you decide to extend your stay.